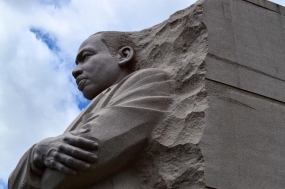 January 20th – In observance of the Martin Luther King Jr. Day holiday, schools and government offices will be closed Monday. This includes City of Decatur offices, with the next biweekly regular City Council meeting rescheduled to 5:30 p.m. Tuesday. All Macon County offices will also be closed to observe the holiday. Decatur Public School District 61 schools will not be in session and the Decatur Public Library also will be closed, as well as most banks and credit unions. All post offices in Illinois will be closed and there will be no mail delivery. Secretary of State Jesse White announced that all offices and facilities will be closed.